American Summit Insurance Company was founded in Minnesota in December 1955. It started out as Arrow Insurance Company and remained so until 1970 when it became Summit Home Insurance Company. The name changed again in 1990 to what it is called today. American Summit is admitted in the following states; however, they haven’t sold policies in all of these states. American Summit is not a health insurance company. This company sells homeowners insurance and flood insurance. The company is wholly owned by NLASCO, Inc., which is a holding company in Delaware. NLASCO also owns National Lloyds Insurance Company, another company that sells homeowners and flood insurance, but no health insurance. American Summit has an AM Best rating of A with a long-term stable outlook. Simply put, what this means is that this is a company that is currently able to meet all of their financial obligations and is making enough money and handling it well enough to continue to meet those obligations in the future as well. The company does not have any other physical addresses for their customers to use or visit. In addition, they share this office with their sibling company National Lloyds Insurance Company. There are no agents that work directly for American Summit. 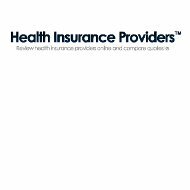 In order to purchase insurance from this company, or its sibling company, you will have to find an independent agent to help you. The problem is there is no agent-finding tool that can help you to find an agent to sell you insurance products. What this means is that you will have to call American Summit directly in order to find out if there are any agents in your area. The company is open Monday thru Friday 8 am to 5:30 pm EST. There is no 24-hour customer service or claims line for you to utilize if you are interested in talking with someone outside of business hours that work directly for the company. As mentioned above, there are no 24-hour lines for you to call if you want to speak to someone in customer service. There is also no direct customer service line, although it is highly likely that the toll free number offered on the site is their customer service line. One thing that is clear is that, although they have a website for you to view, it really isn’t geared for potential customers; it is geared for potential agents. The information is limited and they don’t even talk about the products that the company has to offer on their website. While American Summit does have a claims number for you to call, which is 817-632-2612; it is unclear what the hours are that you can call to make a claim. What’s more, the way the website is set up, it is more likely that the claims number is meant for your agent to use, not for you to use to file a claim. Although the site has a FAQ section, all of the questions and answers are geared towards agents. What’s more, there are no questions regarding claims, and how to file them. There are no careers available with American Summit at this time. What’s more, American Summit does not discuss what their benefits are, or what types of positions they are normally filling. However, you can find information on becoming a licensed agent on their website. You can send an email to [email protected] in order to receive more information on becoming licensed to sell for this company. In addition, you can call 254.730.9795 for more information. Of course, if you are interested in working directly for American Summit and you live in Waco Texas, you can visit their offices to find out if they are hiring, or what they will require from you in order to apply for a job. American Summit does not offer online quote options for their customers. As an agent, there is a link that you can click on to learn how to get a quote for your customers, but outside of that, everyone is out of luck. Of course, if you are looking for health insurance then this company can’t help you anyway.